In terms of vegan choices, London is improving all the time. One thing we do have is plenty of Indian restaurants, many of which are vegetarian so it’s often possible to find vegan options there. Here is a list of London’s best vegan restaurants. I’ve visited most of them and where I haven’t, I’ve taken a straw poll from my vegan mates. Black Cat Cafe used to be hit and miss. But now their food is vibrant, well proportioned and good to look at, from dirty vegan burgers with sweet potato chips to fantastic soy milkshakes, good curries and cakes. You can also buy a selection of vegan ingredients. The anarchist political atmosphere of yore seems to have subsided, and there's been a simultaneous boost in professionalism. Carnevale is an economically priced vegetarian Mediterranean (Italian/Sicilian/Middle Eastern) restaurant with quite a few vegan options. 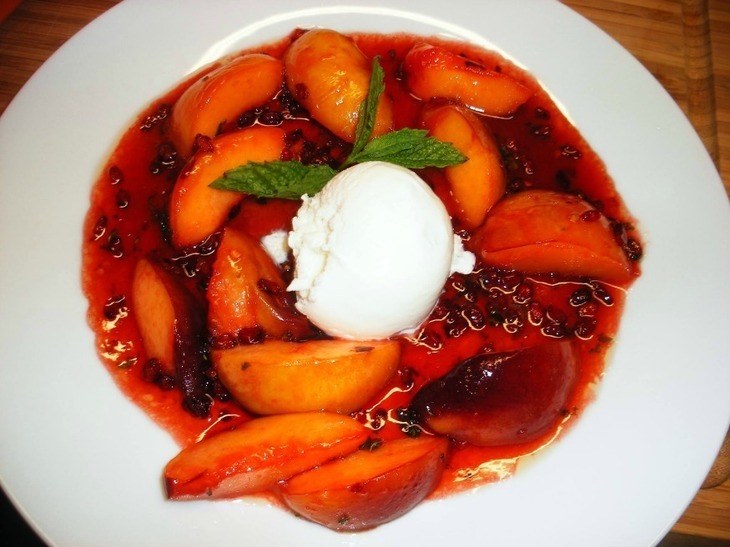 Rasa has two shocking pink branches, one in Stoke Newington which is purely vegetarian/vegan. The other is near Bond Street and still has a decent vegan selection, although some meat dishes have recently snuck onto the menu. The prices at this Keralan/South Indian restaurant are low and the food is excellent. Cook Daily: vegans love this fast food place, formerly of trendy Boxpark and now in its first permanent home in London Fields. 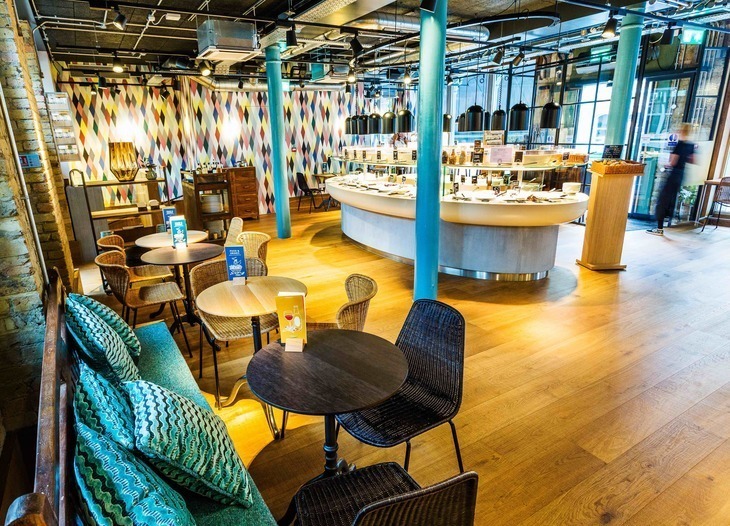 Expect thoroughly substituted classics such as pie and chips, full English breakfasts and Thai curries. Colourful, fresh vegan food at The Gate. You'll find the Primrose Hill set at Manna but don’t let that put you off. 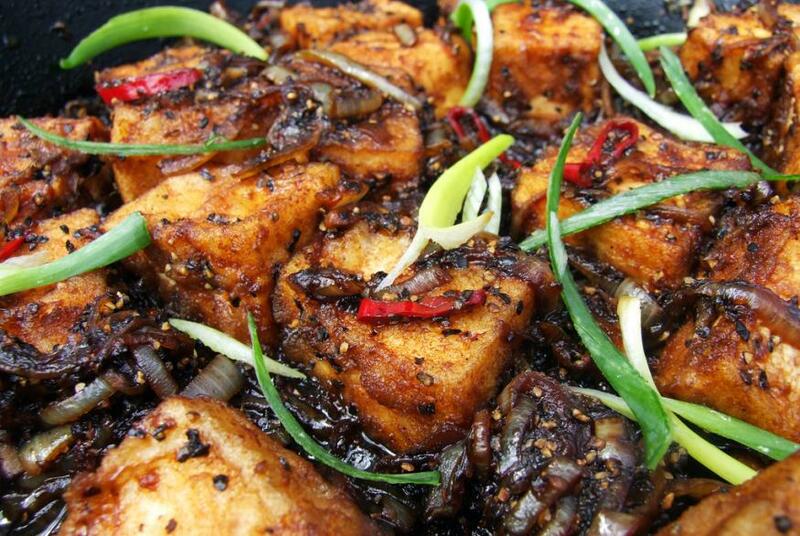 It was originally vegetarian but is now entirely vegan and hugely popular. The cooking takes inspiration from around the world and is flavoursome and well presented. Indian Veg sells seriously cheap, no-frills Indian buffet food, and all but a couple of the curries are vegan (watch out for the paneer curry that often pops up on a Wednesday and Friday). This place is packed after a political march in town — at these prices, even activists can afford to eat out. The food is canteen style but tasty and wholesome, especially if you time it so that a fresh batch has just been placed on the bain-marie. While you eat, you can look at the posters of Indian beauty queens and Bollywood stars, or read the slogans exhorting you to a flesh free diet (‘vegetarians keep it up longer’). You can eat as much as you want here for £7.95. They also serve organic colas and Indian beers. Itadakizen is a refined vegan Japanese restaurant in King's Cross. I’ve enjoyed the vegan sushi, the agedashi tofu, home made kimchi, the bamboo leaf and buckwheat teas. Set meals range from £10-£28 including a special seaweed menu. Students get 10% off. The Gate is another high end vegan/vegetarian restaurant. The menu is international: Greek, Thai, Indian, Japanese and British seasonal cooking, all served with panache in an atmospheric, former pub. 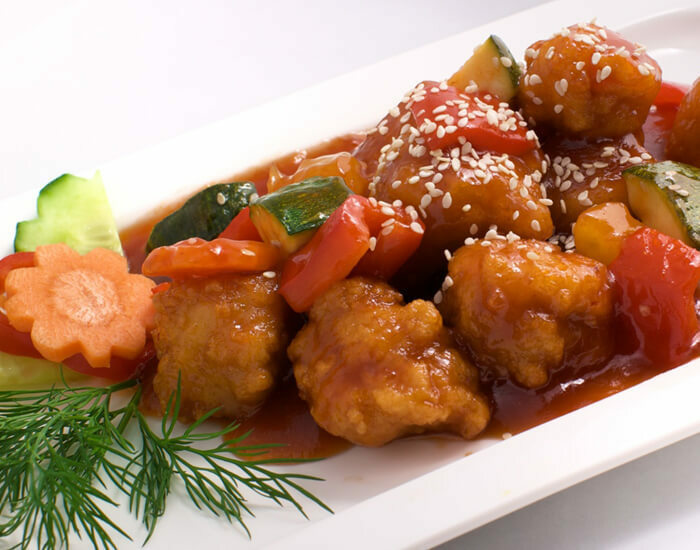 There is a tradition of vegan food in Buddhism, using gluten to make mock meats such as duck, chicken, prawn and lamb. 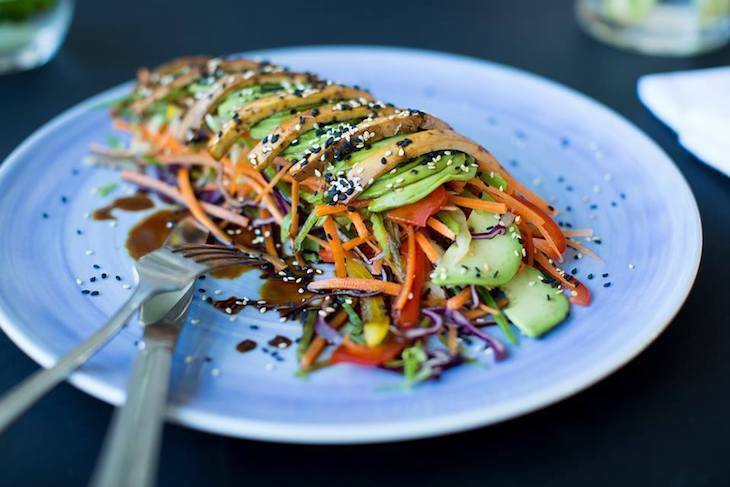 Loving Hut does a pan-Asian influenced menu including Mock duck, ‘chicken’ satay, stir fries, Thai and Vietnamese dishes, vegan dim sum, veggie burgers for those who aren’t keen on Asian food, plus milkshakes, juices and desserts. I must admit I have never been to Mildreds, which is bizarre as it's one of the most well known vegetarian restaurants in London and I've only ever heard good things about the place. They do vegetarian/vegan/gluten-free dishes, all clearly marked on the menu. 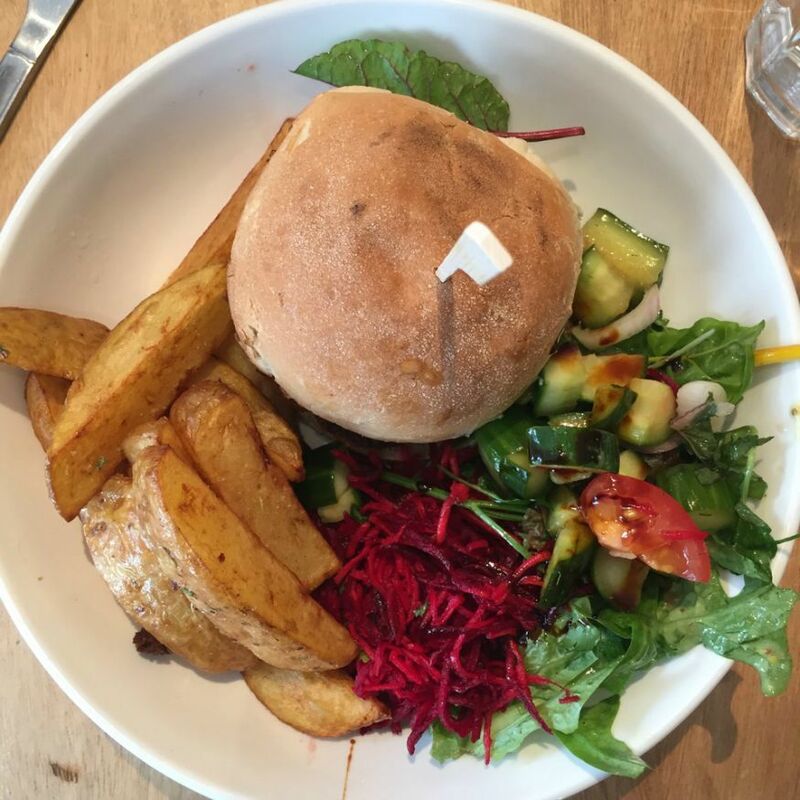 Like many veggie restaurants, the food is international, comprising mainly of burgers, curries and big bowls of comforting vegan fare. 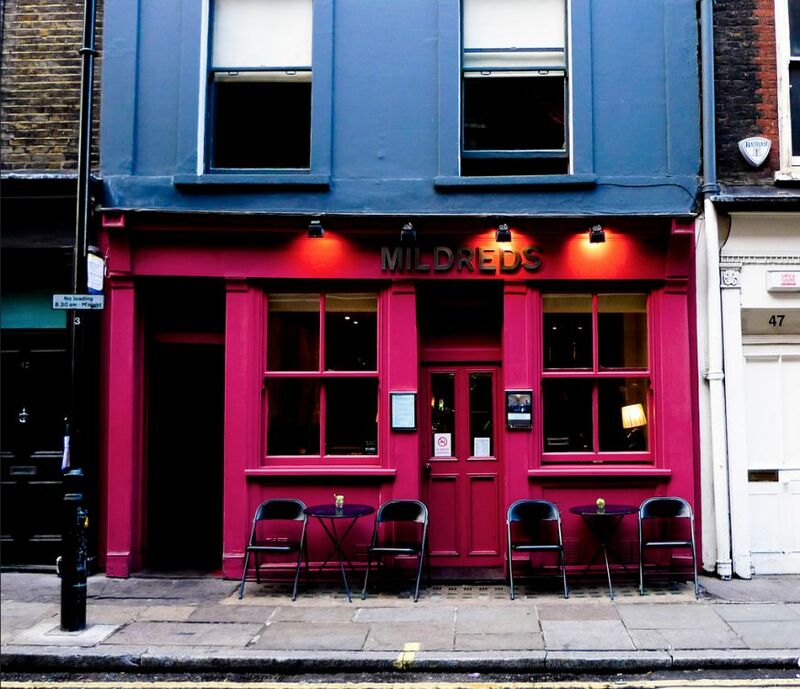 Mildred's: one of London's most famous vegetarian and vegan friendly restaurants. Photo: Monica Shaw via the Londonist Flickr pool. Vanilla Black is a posh vegetarian restaurant with modernist plating (expect asymmetric lines, powders, droplets and the like) and an almost-entirely vegan menu. Founder Andrew Dargue is focusing on refined vegan food, and it’s the sort of place you can take your parents to. Classy. Govinda’s is a Hare Krishna-run restaurant that claims to serve ‘karma free’ food. While the food is very good, and cheap, it’s also under seasoned. Take your own salt. I always have a little tin of Maldon salt in my handbag, which is a small price to pay for their hearty portions of decent vegan food. Tibits is a popular vegetarian restaurant run by three Swiss guys, the Frei brothers. You fill your plate from the buffet with treats like Mexican quinoa, chestnut roasts and veggie pastas, then have it all weighed. Tuesday nights is completely vegan, while the rest of the week they assure their offerings are 80% vegan. Woodlands serves Southern Indian vegetarian cuisine but also has a specific vegan menu with idli, dosa, utthapam, soups and thalis. They do a gluten-free menu too. La Suite West is a hotel restaurant with a difference; the menu at its resident eatery, Cafe Forty One, is entirely vegan. The plating is gorgeous and the food is high end. Pomodoro e Basilica is a vegan pop-up run by Italian chef Sara Mittersteiner. I’ve heard great reports about this place, which you can find popping up at food markets around west London. She also does street food at Camden from time to time. 222 Veggie Vegan. Here, chef Ben Asamani cooks low salt, low fat, non-GM vegan food. Lunch is a buffet and dinner is à la carte. This restaurant is highly rated by reviewers. The peach and chilli pan fry at Persepolis. Persepolis is a must for those residing, travelling or simply willing to make a journey south of the river, says Londonist's Ruth Hargreaves. The charming yellow corner shop stocks Persian groceries and crafts out the front, but the real bonus is the knockout cafe serving Middle Eastern cuisine at the back. Lots of vegan treats are available (hello, vegan knickerbocker glory). Ms Cupcake is a vegan bakery — London's first entirely vegan bakery — in Brixton where you can buy ‘afters’, including cupcakes, cookies and muffins. The Waiting Room is now the domain of top-notch coffee (milk substitutes as standard, of course), plus vegan sandwiches, snacks and cakes. The guys behind Deptford's The Waiting Room (above) branched out, taking their vegan junk food concept and bringing it to The Full Nelson. Here you'll find loaded 'beef' burgers, corn dogs, loaded fries, 'chicken' wings and basically everything you need to to justify spending the rest of the afternoon prone on the sofa, says Londonist's Ruth Hargreaves. Delicious, filling and thoroughly indulgent. Have you any suggestions for our vegan list? Any unknown gems? Please let us know in the comments.